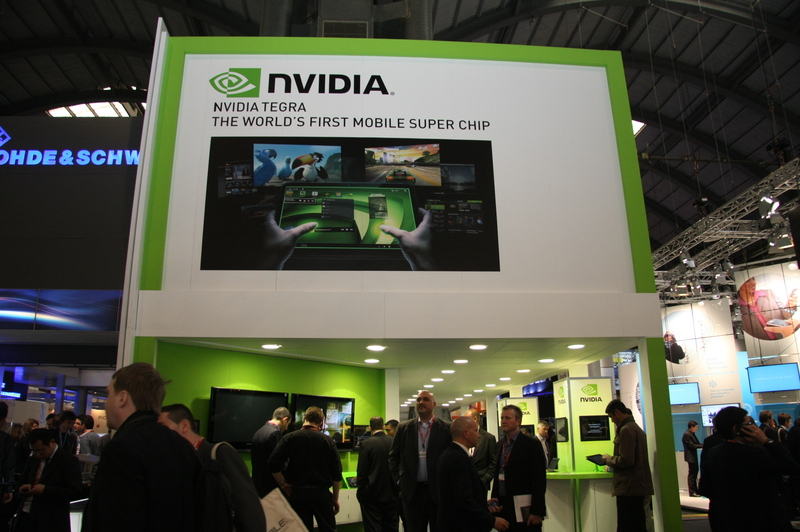 Back in February, we brought you news of the launch of NVIDIA’s new quad-core Tegra mobile processor, a processing unit that at the time was able to run 1440p content running on a 2560 x 16000 panel, a setup not currently realised by vendors. The electronics company has returned to demonstrate the capabilities of its processor, this time showing how the Kal-El – with its 12-core GeForce GPU – is able to render real-time dynamic lighting at Computex 2011 this week. In the demonstration, NVIDIA takes the viewer through its homegrown game Glowball, which is running on an Android Honeycomb tablet. The game requires the user to roll a glowing ball around set levels, crashing it into set locations to progress to the next level. To showcase the processing power of its chipset, NVIDIA creates a light-source within the ball which impacts its surrounding environment in real-time, instead of relying on default animations which may have been used for a single or dual-core processor. The Kal-El processor is expected to launch in August, coming to market months before it competition. NVIDIA will also make Glowball available upon release, allowing Kal-El tablet owners to get an idea of what their new quad-core tablet (or smartphone) can do.